Brrrrrrr...VA weather strangeness continues. This morning when I first checked the temp the *feels like 16* made me hesitant. Closer to 9:00 a.m. the temperature was climbing. As I write this it's a lovely 43 degrees and sunny. November has been rough due to a lot of illness. I still need 9 miles to hit my goal. 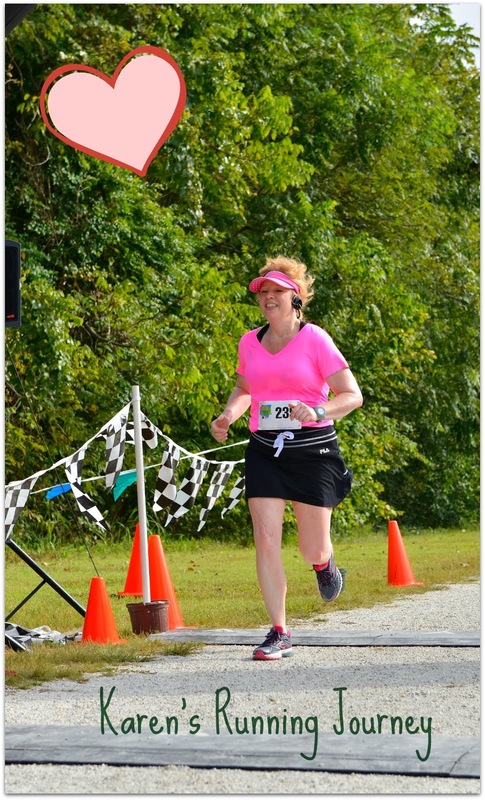 Love these virtual races as a fundraiser! 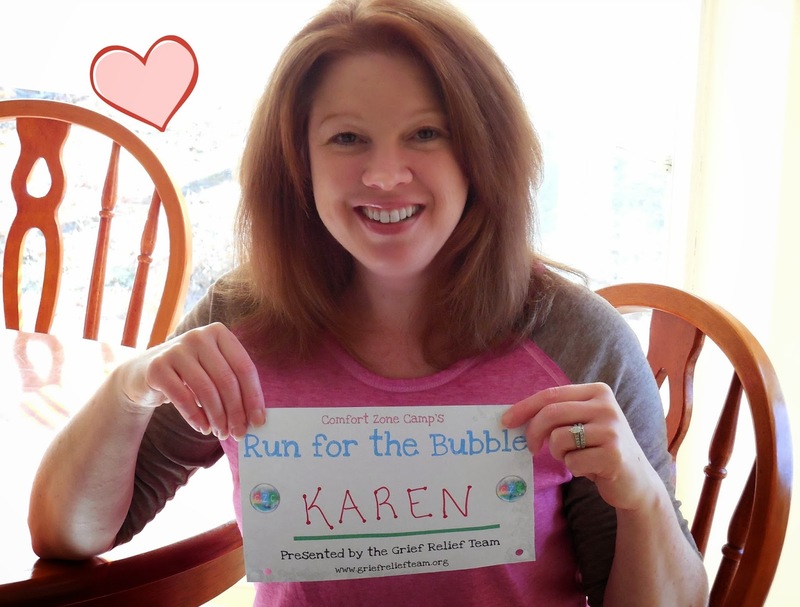 I was feeling a little stiff as I headed out to run my virtual 5K for Comfort Zone Camp's Run for the Bubble. I was bummed I didn't get it done in under 30 minutes, so after a quick break I hit reset and ran it again. The beauty of a virtual race. I love having a do over! My legs just weren't loosening up this morning, I was feeling tight the entire time. I am happy I got it done in under 30 even though it was just barely! I had a fleeting thought of starting one more time and knocking out 3 more miles so I could hit my monthly goal. Like I said it was a fleeting thought. No worries, there's always tomorrow and I just need a short run. Today in VA they were calling for winter storms which turned out to be rain. In keeping with VA strangeness it was 40 degrees when I left work today at 3:00 p.m. Tonight leaving the gym it was 60 degrees, but the downpour is coming in buckets. I guess winter apocalypse is going to rain itself out. We should see sun by Thanksgiving. I did treadmill intervals tonight for the first time since I was sick. I didn't want to go crazy so I thought 4 minutes was a happy medium. I know I gave myself a very generous recovery lap! Next time I will use something in the 10:00 min. range. It was actually pretty tough, so on the last interval I bumped the pace to 8:57 for 3 min. I ran it out till I hit 3 miles. I guess I will have to work my way to 7 minute intervals again. I stretched, did a few back exercises and headed home. BooBoo wasn't happy about the rain. He got over it quickly though, he came in and snuggled up with Misty. Yesterday it was 60 degrees and I was barely in need of a coat, overnight the wind kicked up and it was 22 this morning. Of course yesterday was my rest day (also theater day - Catching Fire - loved it!) and today I needed to run. So I bundled up and off I went. Cold is one thing, but wind blowing gusts at 17 mph was a little rough. About two and a half miles in I was warm enough to take off the gloves and wrap the jacket around my waist. Today was a bit of an improvement from my past few runs. I am still not falling into a great rhythm like I want to, but at least I could keep pushing myself forward. 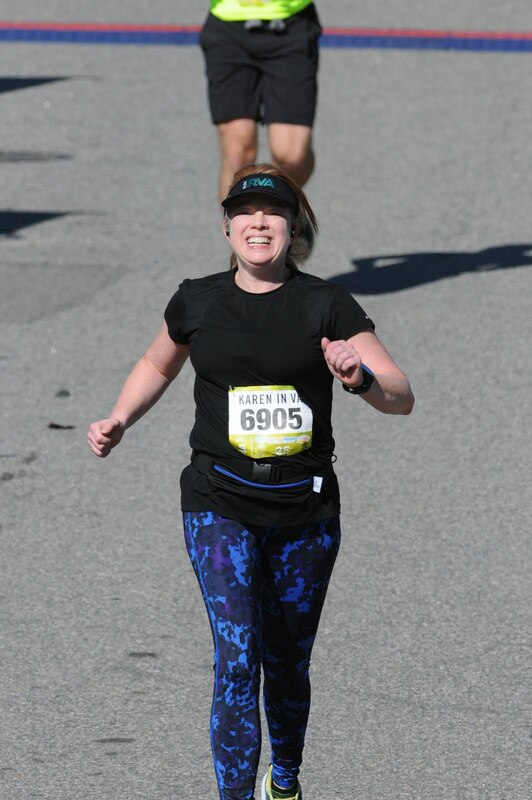 I checked myself at my 10K distance and was thrilled with my time. I really want to record a time like this for the Monument Ave 10K this year. I restarted a few seconds later with the intention of easy pace, but my lap times stayed about the same. I guess it was too cold to slow it down. I wore my new Brooks Ghosts today and my feet felt better. I can't believe my last pair is that worn out though, I am still shy of 300 miles. You have to great shoes to run, but the thought of replacing them every three to fourth months...ugh, maybe I will try new inserts first. I had every intention of a long run today after work. I left a little early so I could have a snack, change, and still have daylight. I wasn't feeling fabulous when I started out, but I kept telling myself it will pass and determination will keep me moving. My 10K in 1:03:36 and I couldn't keep going. That's the slowest 6.2 miles I have had since the hot weather. I had planned to do at least 8 miles, so I was feeling pretty defeated when I stopped. I ran/walked a mile in 13:19 hoping to recover, but it wasn't enough. One more mile in 9:39 and that was all my body was going to do. I wish I knew what was causing all the fatigue I am feeling. It sort of feels like I am dragging a heavy bag, my legs just won't lift. I am having a hard time finding a stride. When I am moving, I am not falling into a rhythm and everything aggravates me. My headphones feel heavy, which they aren't, and my ears feel smothered. My headband getting sweaty makes me want to rip it off, and my shirt rubbing against my neck was even plucking my nerves. It's been long enough and plenty of workouts to be back on track, yet I just seem to be getting weaker each time out. So rest day tomorrow, and back at it again Sunday and hope for better results. I sure hope whatever this is passes soon! Even if something doesn't go perfect it's more important to feel like you gave it your all. I am determined to not give up. So time to toss the worry aside and just keep moving. 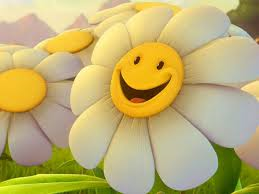 Determination, attitude, and ability are something to be nurtured everyday. Today the quote adjusted my attitude and was nourishment for my soul. Sunday I woke up sore from my Saturday run, but I need to get my mojo back so I headed out to accomplish a short run. Those darn lead weights were in my shoes again. My legs felt soooo heavy it was almost like I was tethered to the pavement. I could hardly lift my knees and my lap times reflected that. It was a long 3 miles. 10:20, 9:41, 10:16 and .10 in 1:00 because I always try to run a race distance. Monday I took a rest day. Tuesday after work it was time to check and see if my mojo was back. I wanted to get at least an hour done and once I got rolling I decided I had just enough daylight to get 7 miles in. I can't say it was easy, but it was better than Sunday's 5K so I guess that's progress. I tried to vary my pace and work on finding that sweet spot, but alone I seem to have a hard time staying steady. I can do it if I run with a group but alone I feel the need to push and recover with a slower lap if necessary. It's funny that mile 5 in a lot of my runs is typically a slower paced lap. Tomorrow a little cross/weight training and hopefully by the weekend I will be ready for a strong long run. You know what stinks? Not feeling well, especially when it drags on for almost a month. Tuesday I got a flu shot and I had a reaction to it. My arm was tender and sore, then the chills started, and later nausea. I went to see the doctor Wednesday and was still feeling awful. After he felt the large lump in my arm the decision was no more flu shots for me. It has been a month now that I haven't been able to exercise regularly and I am starting to feel a little panicked. I need to be back on a regular routine. I decided since it had been a week since my last run I would ease into it yesterday. A quick 2.40 miles on the treadmill and I skipped my usual intervals. I did bump pace between 9:50 and 9:22 and then did some upper body weight lifting. It felt good to accomplish something even if it wasn't a long effort. Today I woke up feeling fatigued again so I set an easy goal of 5 miles. Once I started moving I decided if I am going to get all sweaty it should be for at least an hour workout. I can't seem to keep from pushing myself. I got rolling and wanted to try to knock out a decent 10K time. Mile 5 always seems to be where I need a short recovery. I considered trying to push out a few more miles, but realized it would be better to build up to a longer distance. 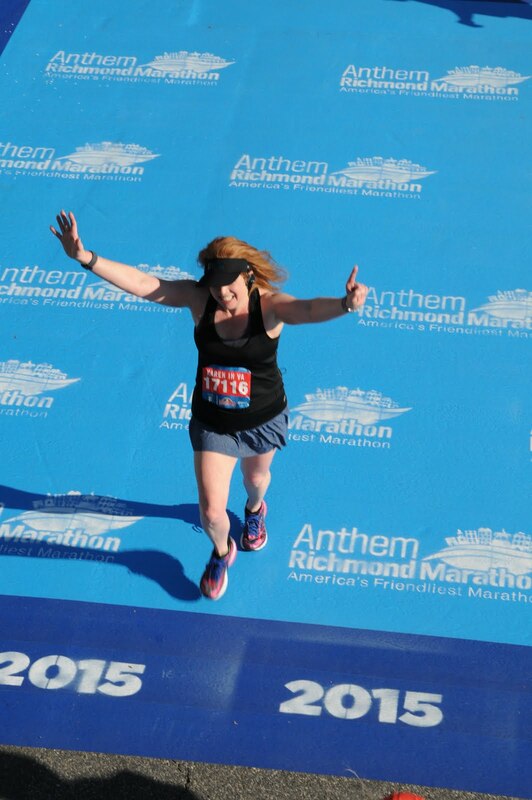 The Richmond Marathon was today. Whenever I know there's a race close by that I missed, I get a little case of the blues. I should probably try to run it next year. A case of the blues usually leads to this...a little pampering for my running feet. This recent bout of illness really kicked my tush. Saturday I went out for my first run in a week. I felt pretty stiff, but determined to get at least an hour done. VA weather has been beautiful, it was about 59 degrees, and once I got through the first mile I was happy to be outside and moving again. Mile 5 I started to feel wiped out. My chest felt like someone was sitting on it. I slowed, recovered, and felt ready to knock out two more miles. 9:51, 9:31, 9:41, 10:13, 10:29, 9:54, & 9:37. 7.10 miles in 1:10:02 I was exhausted when I got home but thrilled to have some exercise accomplished. Sunday I woke up and my legs were extremely sore, so I set my goal at 3.1 miles and worked on stretching my legs throughout the day. My first mile out it was taking everything I had to keep running, my legs felt used up. My thighs felt like someone was pressing them down each time I tried to pick up my leg. I got my 5K done and walked a mile trying to loosen up. I stretched quite a bit when I got home and fingers crossed I'll be back on track this week. My time was okay considering how rough it was to keep myself moving today. 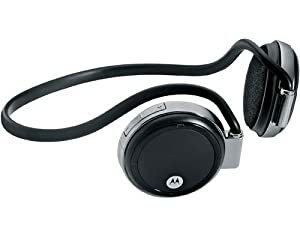 I wore my Motorola S11-Flex HD Wireless Stereo Bluetooth Headset (pictured) tonight. Once you run without wires you can't go back. However, I wouldn't recommend this particular model to anyone. The ear caps make my ear ache even in the smallest size. The ear buds feel very heavy and the sound quality isn't as good as my old set. I keep looking for a more sweat resistant option but my old set (below) is much more comfortable. I guess I will just have to replace headsets every year. Lasting through a year of workouts really isn't that bad when I average about four times a week. That's a lot of hours sweating. Can't beat the comfort, but I keep sweating off the speaker covers off and have to tape (electrical) them to hold them in place. The change songs button also stops working eventually from sweat corrosion - gross. I have gone through two sets, each lasted about a year. I haven't found a better option yet though. 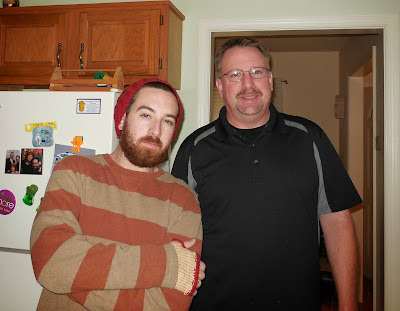 A few pictures to explain my Rest-Easier Than it Sounds blog. My household - and yes, I do know it's too many cats and hubby knows he can't bring anymore home. One of my all time favorites- "What clump of hair hanging out of my mouth?" Today I woke up worse off than yesterday. Maybe running 12 miles sick wasn't so genius, but I am crazy that way and I am not sorry I did it. My achy body wins out today and gives me no choice but to surrender myself to rest and ignore the mountains of cleaning, dishes, and shopping needs calling my name. Trying to ignore what's not getting done causes a certain level of stress itself. Since September my sick verses healthy time has been maddening. I get over a nasty cold and a week later a sinus infection. Now I have strep, which is really zapping my joy and I am starting to cough. Ugh, is all I can say. I started antibiotics Thursday and I am still barely better. My best guess is lack of sleep must be contributing to the problem. I require nine and a half to ten hours a night. It's almost impossible working full time to achieve that. My goal of four workouts a week is shot, only three this week. Bummer. So the plan is to make a carefully crafted nest on the sofa to read and watch TV. Ha! Wake up, feel blah, trip over cats, stumble downstairs to pantry, put food in bowls, sweep the kitchen, rinse the water bowl and replace with fresh water. Change puppy pads. Tweek my old toothless orange cat, for unknown reasons decided he won't get in a litter box so he has puppy pads I change several times a day (sigh). Once everything is clean it's a mad dash to use the clean litter. So, second round, clean both litter boxes change puppy pads again and sweep. Junior shows up now and he only drinks from the kitchen faucet. Patiently I wait for him to consume water. About this time Otto decides he hasn't had enough attention so he picks on Tweek to divert my attention. I chase him and ultimately praise him for being responsive, and he prances off happily. Some mornings he isn't that responsive so I have to break out the squirt gun. Anyway, back to the kitchen and turn off faucet. BooBoo is now wailing to go out by the front door. BooBoo decides I'm to slow so he wrestles Junior and pins him until I obediently open the door for him. BooBoo (our last and final adopted cat ever!) was a neighborhood prowler and during Hurricane Sandy my hubby was worried about him and let him in. He's the only cat who goes in and out and has claws. We did fix him, but I wasn't trying to make our house his permanent residence so I keep letting him out and he keeps coming back. Junior has a sensitive tummy so he spits up, annoyingly, behind the sofa. Pull out the sofa, clean up, drag out vacuum, run it over the spot, push sofa back in place. I'm sweating now. Misty (could be any of them) calls for attention now by knocking my IPOD off the table. BooBoo reappears at the door crying to come in. This is the usual routine about 3x's day. All is calm for a moment. Quietly, I creep to the sofa to nestle and realize a glass of iced tea would be nice. Back to the kitchen and pour the dribbles out of the container (sighing loudly) I pull out my gallon pot, boil the water, add bags, soak, add sweetener, cool. Round two, I slink my way to my anxiously awaited rest session and Otto is carefully curled up centered in my spot. Some days going out and running is actually easier than resting. 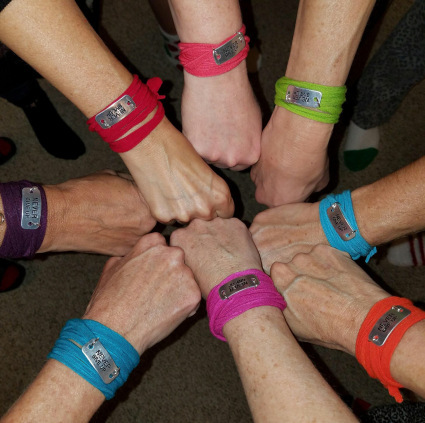 This morning I tagged along with running buddy to run 12 miles with her training team. This was the team's final long run before the Richmond Half. I've been in bed for the past two days taking antibiotics for strep. Last night I almost pulled the plug because I wasn't sure if I was well enough to make it. I decided to go because seriously, how many opportunities will there be to have a group to run 12 miles with. I figured if I felt really awful I would walk back to the van. Mile three I did feel a little tired, but by the time we got to Bryan Park I felt revived. It was a pretty routine run and we stayed together until the last water stop. It was set up at mile 10 and it was crowded. Before I had a cup I saw my group leaving. Uh oh, I downed my water and took off thinking I could catch up. We are running downtown though and I got caught at a light. I didn't have the route and I couldn't see them, but I did find a man who pointed me in the right direction. I tried to run a 9:25 pace or so to catch up, usually I can sustain that, but today my body wasn't ready for that kind of pace so I had to back it down. I didn't catch them until the last mile and I was glad I did because I was tired and it helped me to get to the end. 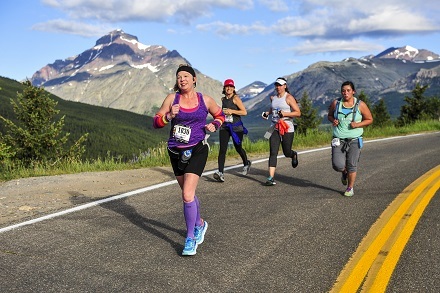 I haven't decided if I am going to do training team next year, but it does make me wish I could find a running club to tackle longer runs with. I seem to have a little claustrophobic bout if I stay boxed in too long. I need to spread out by a mile or so or I just freak out a bit. Wake up and drive so I can run 6 miles-naaaahhh. I can do that alone, but I really need it for 9 miles and above. Bryan Park was really pretty with the Fall colors at peak, but I forgot to snap a few shots. I am thrilled to have a 12 mile run done again. I keep thinking maybe I will figure out a way to break through that barrier (I hit at 10) alone eventually. Since I lack pictures to share today - here's one of Junior in his hiding spot.